Kevin Harvick started first and finished ninth, scoring two bonus points. The No. 4 Busch Flannel Ford surrendered the lead on lap 13 for a fuel-only stop and returned to the track in 29th. Harvick advanced back up into the top-10 after the second group of cars came to pit road on lap 43. The No. 4 Ford came to pit road at the conclusion of the stage for multiple adjustments to correct a tight-off handling condition. Started 24thand finished fourth, earning seven bonus points. Harvick brought the Busch Flannel Ford to pit road for fuel only on lap 67. Harvick raced into the top-10 by lap 70 after the fuel-only stop and narrowly avoided a multicar incident on lap 72. The Busch Flannel Ford restarted eighth on lap 78 and dropped as far back as 20thbefore rallying late in the stage. Harvick brought the Busch Flannel Ford in at the end of the stage for tires, fuel and adjustments. 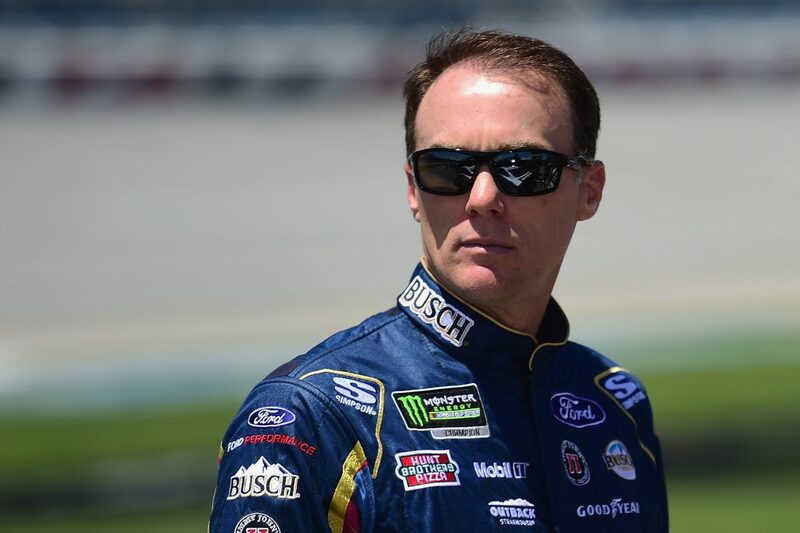 Harvick got shuffled back to the 20thposition early in the final stage but returned to the top-three by the caution on lap 129. The team brought the No. 4 Ford to pit road under caution on lap 130 for four tires and fuel. Harvick restarted ninth on lap 133 as the first car on four fresh tires after the stop. Crew chief Rodney Childers called the No. 4 to pit road under green on lap 145 for fuel only, and Harvick returned to the track in 18th. By the caution on lap 154, Harvick had raced the Busch Flannel Ford back up to the third position and chose to stay out on track. Harvick was racing in the second position when a 14-car accident occurred behind him on lap 166. The No. 4 Ford restarted second on lap 171 and raced single file until the white-flag lap, when he was shuffled to fourth. Harvick scored his seventh top-five and eighth top-10 finish of 2018. It was his seventh top-five and 15thtop-10 finish in 35 career Monster Energy NASCAR Cup Series starts at Talladega. Harvick finished ninth in Stage 1 to earn two bonus points and fourth in Stage 2 to earn an additional seven bonus points. Harvick started from the pole and led the first 12 laps to increase his laps-led total at Talladega to 214. Joey Logano won the GEICO 500 to score his 19th career Cup Series victory, his first of the season and his third at Talladega. His margin of victory over second-place Kurt Busch was .127 of a second. Ford took six of the top-10 finishing positions. There were six caution periods for a total of 29 laps. Twenty-two of the 40 drivers in the GEICO 500 finished on the lead lap.